If you have ever had severe acne, you know the last result is to go on Accutane. Your dermatologist makes you try every single possible thing out there for acne before even considering prescribing it. Accutane is a name brand of Isotretinoin (Just like how Ibuprofen is the same thing as Motrin). It is a pill prescribed for severe acne. Personally, I have gone through one course of Accutane. I know multiple people who have also done the full treatment and have even gone so far as going on it a second time around. According to WebMD, any brand of Isotretinoin is typically taken twice daily for 15-20 weeks. Its job is to decrease the amount of oil that is produced in your pores. It is common for your acne to flare up in the first 2-3 months, but towards the end of the 6th month, your skin should be extremely clear. I personally had an extreme initial break out at month 3, and it was not until month 5 when my skin finally began to clear up. It is known to have very severe side effects. I remember being bombarded with the amount of anti-accutane websites when I first started researching the treatment. Since I had absolutely no other option and there were so many success stories, I went out on a limb and did the treatment. Since it really worked for me, I didn’t think twice about how badly it effected others. Now 5 years later, the amount of people that are against the use of Isotretinoin has only increased. So, my question today is, should Isotretinoin be banned in the U.S? In 2007, a study done in the British Journal of Clinical Pharmacology, examined women who got pregnant while on Accutane. Out of those 90 women, only 9 of them had a live birth. 76 had elective abortions, 2 had trauma during their delivery, and 3 had a spontaneous abortion. Almost similar to the drug Thalidomide that we discussed in class, 30 years ago we did not know that Isotrentinoin was causing these birth defects. Doctors prescribed pregnant women with Isotrentinoin without knowing the side effects and detrimental things occurred. According to suicide.org by 1990, there was 11,000 to 13,000 Accutane related abortions and 900 to 1,100 Accutane related birth defects. Thankfully in the United States today, we have a FDA mandated system called iPLEDGE where dermatologists must register their patients and pharmacists must check to see if the patient is registered before administering the drug. iPLEDGE is essentially an online website where patients must take monthly tests to make sure that they are informed of the side effects of Isotrentinoin. It is an honor system that makes you pledge to either be on birth control or use protection if you are sexually active. Below is a picture of the severe birth defects if a patient becomes pregnant while prescribed Isotrentinoin. Like I stated before, another common side effect is depression. On Isotrentinoidsideeffects.com the first side effect listed under the serious reactions is depression. The statistics that prove this, along with suicide, are unreal. On one anti-accutane website I came across, they state how Isotretinoin is ranked number 4 on the FAERS drug database for depression and number 10 for the attempts of suicide. For those of you that don’t know, the FAERS is the FDA Adverse Event Reporting System. It is a database that includes adverse event and medication error when taking prescription drugs. Unfortunately, the anti-accutane website talks about how less than 10% of the adverse reactions are actually reported. You can only imagine how quickly this drug would go to being number 4 to number 1 if there was more people reporting. According to Rense, over 200 people have committed suicide while being on Accutane. Even Suicide.org preaches how to NEVER take Accutane. Many families that were effected by this drug constantly try to warn others to watch out. A lot of people out there believe that this drug is extremely unnecessary. It is so hard for me to say this, but I believe that Accutane, or any other brand of Isotrentinoin, should still be allowed to be on the market. As there are many bad stories, there are an extreme amount of success stories too. On Drugs.com, Accutane is rated a 9.3/10. It is known to be the holy grail for stubborn acne. For me personally, it was life changing. I do believe that there needs to be more awareness on the risks of depression. Just like how iPLEDGE was created to stop the amount of birth defects, there should be a way for patients to report their mood daily so dermatologists can monitor them. This entry was posted in Uncategorized on October 21, 2016 by Heather Grace McDermott. 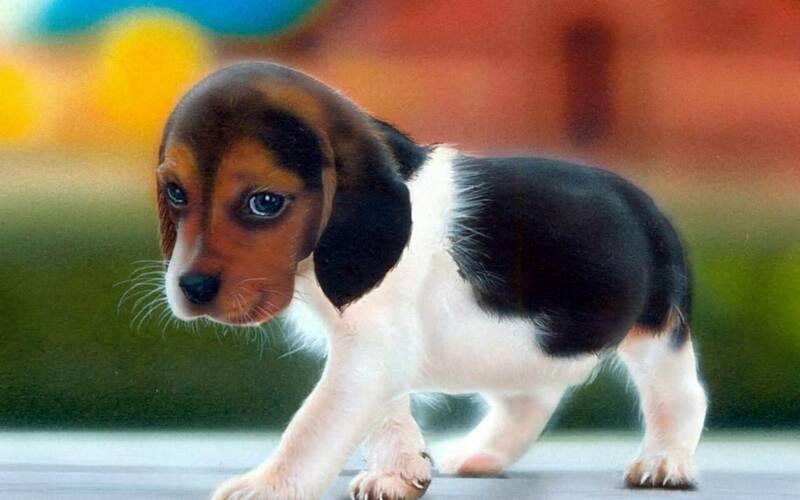 Can you diagnose yourself with cute aggression? Have you ever wanted to squeeze a puppy to death? Or drop kick a kitten because it was so cute? Or even seen Kristen Bell’s sloth meltdown on Ellen? After recently going home for the first time this semester, I thought I was going to kill my dog. This made me wonder why cute things bring out the worst in you. I found out that these crazy urges are due to a psychological thing called cute aggression. Cute aggression is defined as the urge to squeeze or scream over something that you think is overwhelmingly cute. This mix up of emotions is very similar to when someone cries tears of joy. For example, when a mother gives birth to a child she is so happy that she will start to cry. She is releasing all of her negative emotions with the positive at once. Similarly, when you see something extremely cute, you become aggressive. While reading an article on Popular Science, I read about a study done at Yale University that explains why we have these violent urges towards the things we love. Rebecca Dyer and her team hypothesized that getting aggressive is our body’s way of regulating our emotions. She believes that dimorphous expressions (two expressions at once) occur when people feel overwhelmed with intense feelings. The team gathered a total of 109 volunteers to test their hypothesis. They showed them a slideshow of cute animals and babies and also neutral pictures to see what their reactions would be. They measured the strength of their reactions by asking them how aggressive they felt. After the scattered results of this first study, the researches felt that they weren’t thorough enough. They realized that the results were extremely limited because they were based on self report, so they decided to conduct the experiment again. The second time around, they gave the participants bubble wrap. This time, when they looked at the pictures they could squeeze however much bubble wrap that they needed to. This gave Dyer and her team the ability to use an actual number to measure aggression. The results showed that the volunteers popped more bubbles when looking at the cuter pictures. The cute pictures averaged 120 bubbles while the neutral and funny pictures averaged 80 bubbles. Dyer’s team concluded that their results supported their hypothesis. When faced with an extremely cute picture, it can fill your brain with so much emotion that the only way our body can regulate it is with a dimorphous expression. Since the participants showed higher levels of aggression towards the cuter pictures, it proves that a single stimulus (a very cute picture), can provoke two emotional responses at once (happiness and aggression). Dyer believes that one reason for this conclusion could be that when we see something cute, we then realize that it is only a picture, and get very frustrated that we cant cuddle or take care of it. Another explanation she mentions is that our bodies cannot handle that much positive emotion, so it needs to be negative in order to balance it out. One downfall of this study that I personally noticed is that the experiment only used pictures. They didn’t actually use real dogs or real babies. Ultimately, you would think that if they did use real living things their results would be even more compelling and increase the aggression dramatically. In the end it is nice to know that when I scream and squeeze my dog I am not mimicking actions of a young serial killer. It is actually quite normal to feel this way, and I can proudly diagnose myself as someone who suffers from cute aggression. This entry was posted in Uncategorized on October 20, 2016 by Heather Grace McDermott. Coffee? Nap? Or a coffee nap? Everyone tells you that you will become addicted to coffee once you get to college. Whether this is true for you or not, you probably still enjoy a good nap. If you are like me, and enjoy both, then you often face the question, do I take a nap or do I drink a cup of coffee? With the time crunch here at school I usually end up choosing coffee, but is it the better option? While I was doing my research, I found that both have their own benefits and downfalls. In one article, the author discusses how naps don’t have a crash. They increase your cognitive abilities and give your brain a boost (IF you get the full 60-90 minutes). If you only take a 20 minute nap, this will reverse the effects and make you even groggier. Coffee on the other hand almost immediately wakes you up and increases your focus, but it does make you eventually crash. 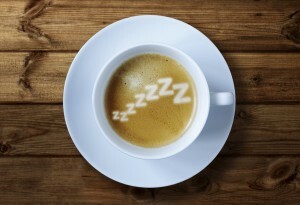 A study done at the University of California San Diego directly tested the effects coffee and napping on your memory. They created 3 different groups: a nap group, a drug group (caffeine pill), and a placebo group (fake coffee pill). They first spent time training them all on motor skills, verbal learning, and perceptual learning. They all had to do activities such as memorizing a specific sequence on a key board or memorizing a long list of words. The nap group then took a nap while the pill group waited by watching a nature video. After the nappers woke up, half of the pill group took a placebo pill and the other half a 200mg caffeine pill. Everyone was then tested again on the tasks they had memorized before. The results showed that the nappers did significantly better than the pill group on both the motor skills and perceptual learning, but there was no significant difference in the verbal learning session. These findings show how although coffee makes you feel physically awake, napping is a better option if you need to cognitively perform well. The study does discuss some third variables that could alter their results. They first talk about how different amounts of caffeine (not just 200mg) could increase the performance. Likewise, the different durations of a nap could also alter the performance as well. I concluded from reading this study that if you are in a rush, coffee is a great alternative to increase focus and to wake your body up. BUT if you have the time, napping is always the better option, not only for your body, but also for your brain’s performance. As I continued reading the first article I mentioned, the author states that there was such a thing as a coffee nap. Essentially, you drink a cup of coffee and then take a nap. When you wake up, you feel the effects of the coffee plus the effects of the nap, thus giving you double the benefits of just doing one. According to this Japanese study, a coffee nap is significantly better than just a single nap or single cup of coffee. Their objective was to see whether a coffee nap is better than taking a normal nap, or a normal nap combined with face washing or bright lights. They had ten healthy young adults either take a nap, take a coffee nap, take a nap followed with bright lights, take a nap followed by washing your face, or take no nap at all. Their data shows that the coffee nap was the most successful. Although, I realized they did not have a group that just drank coffee with no nap. Since they didn’t include this in their study, I cant conclude that a coffee nap is better than just drinking a cup of coffee or taking a nap by itself. Also, the group was not randomized enough. They were all 20-23 years of age and were healthy. There are many other variables that could come into play. Health, age, and caffeine tolerance are just a few. However, this is a very interesting and relatively new trend that I would love to hear more about. Personally, I have never tried doing this or ever heard of anyone doing this. Would you ever try taking a coffee nap? If you have so already, does it work? Here is an interesting video that explains into further detail of how a coffee nap really works. This entry was posted in Uncategorized on October 19, 2016 by Heather Grace McDermott. Have you ever wondered why we have an appendix? No? Me either. I didn’t ask this question until I was lying in the Mount Nittany Hospital waiting for an emergency removal of my own. After three hours of what felt like glass bottles being broken in my stomach, I finally left my comfy dorm bed in East Halls and traded it for a hospital bed. Four tests and an IV later, the nurse came in and told me that my appendix needed to be removed immediately. My surgeon, Dr. Mona Duncan, assured me that she does this procedure up to ten times a week. This shocked me. Is it true that we don’t need our appendix? If so, why did evolution fail to fix this problem? 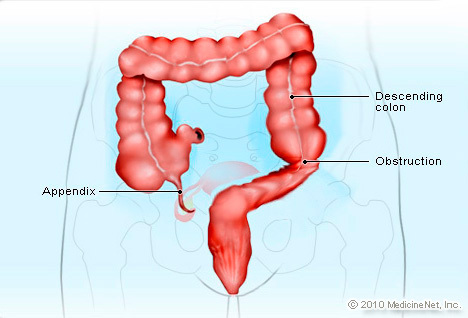 It has always been said that the appendix is vestigial. If you were to type in “vestigial structure” into a Google search, the first thing that would come up as an example would be a human appendix. Since Darwin, it has been a widespread belief that there is truly no purpose for it. I went on to research whether or not this was true. 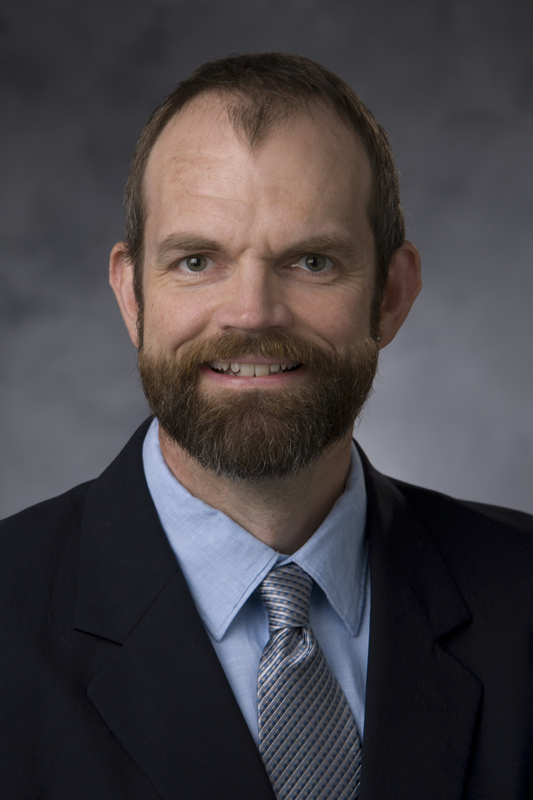 I came across a popular study done by William Parker and his team at Duke University. They decided to challenge everything people have believed about an appendix. They tested whether or not the appendix has a function. They first examined removed appendixes that were not infected. Turns out, people periodically get their appendix removed and Parker was able to get ahold of them, along with tissue from the digestive tract. After studying both of the tissue, they discovered that the growing colonies of good bacteria were more prevalent in the appendix than anywhere else in the digestive tract. This bacterium helps fight and prevent diseases, but when there is a severe infection, the bacteria in the gut can only do so much. This is when the role of the appendix comes into play. The safe house of stored bacteria that is located inside the appendix walls recolonizes the gut, helping the immune system beat the infection and getting the good bacteria to start growing there again. Parker and his team also looked into animals who are closely related to humans and how their appendixes work. For example, Great Apes, the opossum, and the wombat all have appendixes that function very similarly to the human appendix. They also looked at animals that do not have an appendix, and found that as you get further and further back into the gut, you find a large collected amount of good bacteria. Speaking for most animals, they believe there is a region in the cecum where bacteria is collected and maintained for future use. Even though this may not be as effective as an appendix, the idea is still there. Parker’s team concluded that the appendix DOES have a function, rejecting Darwin’s hypothesis. Since the appendix is still such a big mystery, its purpose still has yet to be completely solved. As we have learned in class, it will take years for an idea like Parker’s to become accepted. As there are many more studies that need to be done. Darwin has suggested that we have no use for something like an appendix anymore, but Parker’s research truly shows that it could have a role inside the human body. According to the NCBI, there are 280,000 appendectomies preformed in the U.S each year. Personally, if I were to read this research before I got mine removed I would not have thought twice. Appendicits is extremely life threatening. Although Parker and his team has compelling evidence, modern medicine today can easily replace the job that Parker believes appendix once had. I don’t know if I am the only one, but I believe that Penn State water is extremely different than the water in my home town. Most girls on my floor think I’m crazy, so I researched whether or not the water coming out of the East Hall shower heads is responsible for my ruined hair. Hard water is known to have a high mineral content. It is loaded with magnesium and calcium. On the other hand, soft water contains high concentrations of salt and lower levels of magnesium and calcium. Believe it or not, both are said to have extremely different effects on your hair. Hard water is known to require much more soap and have a lesser lathering capability than soft water. The same article then talks about how the minerals in hard water tend to make the shingles on a hair shaft stand up, thus giving you the feeling of rough and frizzy hair. Many people believe that since hard water possesses these properties, it leaves their hair feeling extremely dry and broken. Since soft hair contains a lot less minerals, it tends to leave your hair feeling a lot smoother. This is why most people typically prefer showering with soft water or even getting a water softener to keep their hair feeling smooth. According to the SCBWA and Phila.gov, State College’s hard water index ranges from 120-190 mg/l, while Philadelphia’s (my home region) ranges from 100-150 mg/l. (I could not find my home towns exact number, so I settled for Philadelphia’s. Also I could not find whether or not PSU uses state college water or not.) 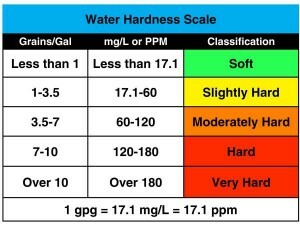 The chart below demonstrates what determines water being hard or soft. As you can see, theoretically Penn State (located in State College) is considered to have hard/very hard water, while Philadelphia came up close being moderately hard. It was pretty shocking to see that I may not be so crazy after all. The mg/l at PSU is significantly higher than my hometown’s. This could be the sole reason why my hair has been completely out of whack, but was I just exaggerating when I said that this type of water “ruined” my hair? I came across a study that tested the effects of hard water on women’s hair. The scientists obtained 15 volunteers and collected 10-15 strands from each person. One set of hair was submerged into hard water and the other in distilled for a minimum of 10 minutes. This process was repeated for 30 days. The scientists used a universal strength tester called INSTRON to examine the strength of all the hair. Their results were very surprising. The strength of hair treated in hard water was 105.28 and the hair in distilled water was 103.66. They concluded that there was no statistical difference and that the hardness of water has no effect on the strength or elasticity of hair. Since the women all aged between 20-25, we couldn’t assume that this could be true for people of all ages. Also, this experiment only tested women’s hair, not men’s, and we do not know if the women had different races. All these alternative variables can alter the strength of a person’s hair and could drastically effect the results of this experiment. In the end, although it was only one study with a minimal amount of people, I thought that it still provided pretty clear evidence that hard water does not have a strong effect on women’s hair elasticity or health. This brought me to conclude that although your hair may dry or feel extremely different in places with a higher hard water index, hard water does not really damage your hair. It does have a different effect on the way it feels and dries, so I fully blame Penn State’s hard water for my hair’s behavior. If you’re someone with frizzy hair, coming to Penn State for college could be the end of the world, so don’t forget to check the hard water index of other schools before you apply. Hi everyone! I’m Heather and I live in Warrington PA. Since I’m a freshman I’ve been introducing myself to a ton of people. I typically say that I’m from “outside of philly”, but I quickly realized that people legitimately get annoyed if you respond with that answer. I knew that a lot of people from that area went here, but I didn’t know it was the last place people wanted to hear when they asked where you were from. Im currently undecided, but I am leaning towards a business related major. Personally, I have always liked science. It was one of my favorite subjects throughout middle and high school, but I realized that I am not interested in any profession that has to actually do with science. I don’t have the patience to sit in a lab and hold experiments. I’m the type of person that likes to see immediate results. If I had to conduct an experiment for a year I would grow extremely impatient. For a while I thought that I could go in a different direction of science and try to be in the medical field. I realized after taking anatomy my senior year how that was not going to be an option. My stomach couldn’t handle all that comes with working in a hospital. I took this SCM 200 because my advisor said that this was a really different class. I have always loved present day science and learning about the innovations that we don’t necessarily hear about everyday. I thought it would be really cool to take a class that doesn’t have the words “bio” or “chem” in it. HERE Is an article that I read in anatomy class about electronic skin. 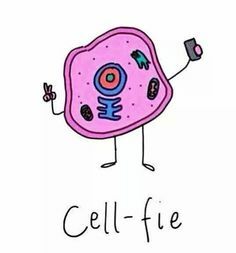 This was one of my favorite present day science break through that we discussed. This entry was posted in Uncategorized and tagged SC 200, Student Blogging on August 29, 2016 by Heather Grace McDermott.